A Habit You have to Break! Take a survey of a group of ex-smokers and the majority will tell you that quitting smoking is more difficult than quitting drinking and quitting many drugs. Because smoking is legal – Even though they’re increasingly expensive, you can buy cigarettes and tobacco products when you’re 18 and just about anywhere. Because nicotine is highly addictive - the physical addiction affects mood, alertness and concentration but there is also a psychosocial addiction that may be even stronger. That means that many smoke to relieve anxiety, anger and stress. While smoking doesn’t make the HIV infection worse, studies show that people living with HIV who smoke are more likely to get HIV related infections and of course at a increased risk of other smoking –related diseases. PCP Pneumonia and Oral Thrush are more common amongst HIV smokers. Smoking increases the risk of heart disease, lung cancer, high blood pressure and stroke. Emphysema is more common in HIV positive smokers. You can be more likely to suffer side-effects from your HIV medications. You can be more likely to develop osteoporosis. 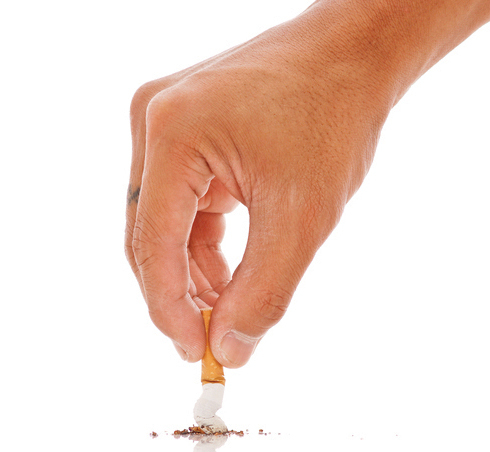 Smoking can interfere with the processing of medications by the liver. Luckily today it is easier than ever to quit smoking with the availability of medicines and nicotine replacements and plenty of information in pamphlets, self-help books and online. Because you are HIV positive, please consult your physician. They can be a fantastic resource and help you choose a good and safe way for you to kick the habit! Select a date not so far in the future so you can change your mind, no longer than a month. Make a commitment to it. If you’re going cold turkey, make sure you have plenty of substitutes – gum, coffee stirrers, toothpicks and so on. If you’re using a prescription drug, you may need to start before your quit day. Make sure you have thrown out all of the cigarettes and ashtrays. Tell your friends to solidify your commitment to quitting and set up a support group. There is both physical and mental withdrawal. For the physical symptoms, there are many nicotine replacements available for the short-term. The mental withdrawal can be more challenging. Cigarettes were a way of your lifestyle. You may have smoked with coffee or while chatting with friends. You may have to temporarily change your habits. Try to avoid temptation, rationalization and find ways to reward yourself when you do. Use your support group. If you don’t have one set up consider attending stop-smoking classes that your ASO or area health clinic might have. There are also Nicotine Anonymous groups that you can look into. Above all, if you have a “slip” and smoke in a moment of weakness, regroup and make it just a “slip” - it’s up to you.